Home / Latest TBV News / Breeders are watching Fiorente like a Hawk! Breeders are watching Fiorente like a Hawk! Fiorente’s exciting youngster, Hawkshot made a demolition job of the Group 2 Autumn Stakes over 1400 metres at Caulfield, to score with nearly four lengths to spare. 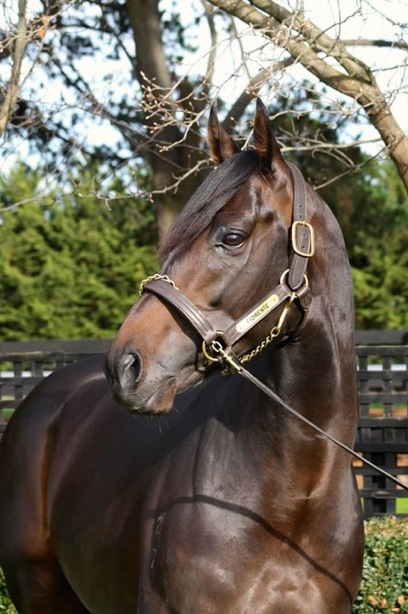 A debut winner as a two-year-old, Hawkshot always had an enormous amount of ability, and putting his tendency to over race behind him, he blitzed his opposition to take his brilliant record to eight starts, for three wins, and three seconds. “He went straight to the front, relaxed beautifully and was never going to lose. He’ll head to the Australian Guineas now and the 1600 metres will be no issue,” said Mark Zahra. Posting 1.23.47 for the journey, he stopped the clock a full second quicker than Manuel in winning the Group 1 CF Orr Stakes 40 minutes later. “That was an electrifying win. He dictated, kicked away on the corner and he couldn’t have been more impressive,” said winning co-trainer, Ben Hayes. 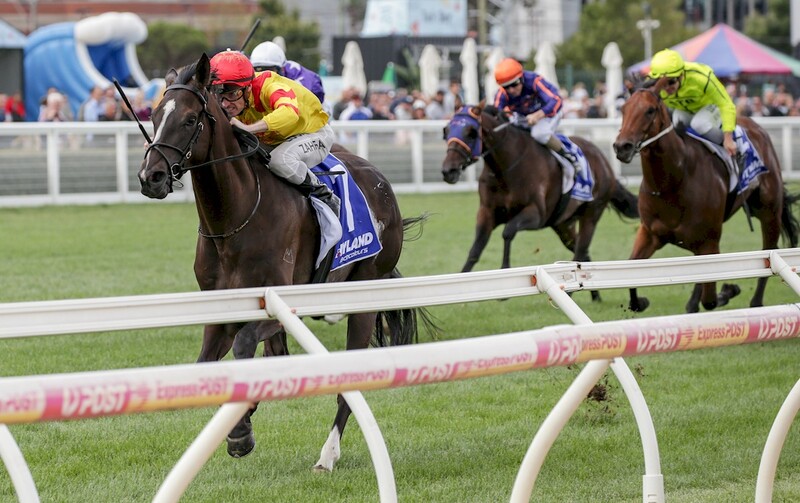 A first crop son of Melbourne Cup and Australian Cup winner, Fiorente, proudly racing in the distinctive yellow and red silks, Hawkshot was bred by the Cheng family owned, Sun Bloodstock, which also stands the stallion at its Victorian based Sun Stud. In a massive weekend for Fiorente, Lunar Flare smashed her rivals by six lengths over 1600 metres at The Valley on Friday night and became an early favourite for the Group 1 AJC Oaks. While Group 2 Vase winner and Group 1 VRC Derby placed Stars Of Carrum will line-up in the Group 1 Australian Guineas alongside Hawkshot. On top of that, Gee Gee Fiorente won by nearly four lengths at Hobart on Sunday. Hawkshot is the second named foal out of the Encosta de Lago mare, Rosa Perlato, a granddaughter of the Group 1 winner, Shindig, the dam of CF Orr Stakes winner, Shinzig, and multiple stakes winner Strada. She is in foal to a brilliant sprinting son of Snitzel in Thronum, and her yearling filly by exciting freshman sire Ready For Victory (Lot 724) will be offered by Sun Stud at the Inglis Melbourne Premier Sale.